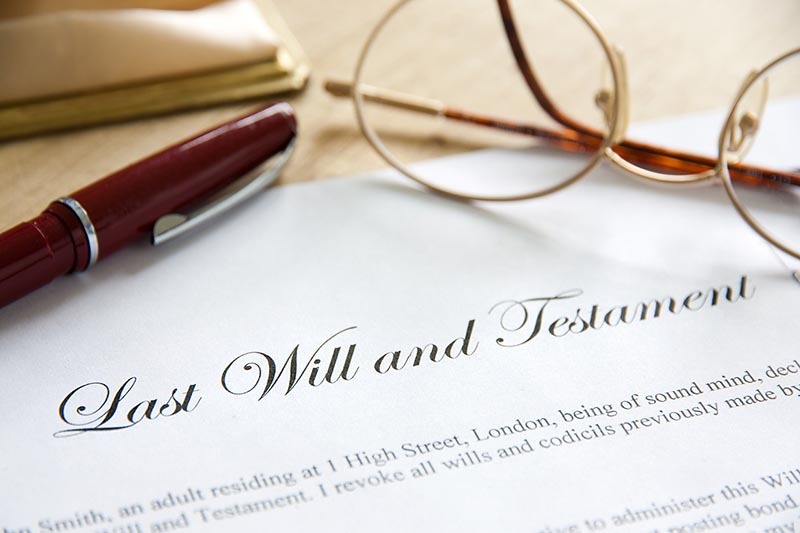 Have you been named executor of your deceased loved one's will? This is a critically important role. To avoid any missteps along the way, here are 9 costly mistakes to avoid from the start. When a loved one dies, you know that planning the funeral and dealing with the emotions associated with the loss is only part of what you need to think about. You'll also need to understand how to settle the estate and distribute the assets out to any beneficiaries. If you've been declared as the executor of an estate, this will be your responsibility. This can sometimes be an involved process -- and it's easy to make a mistake. This post will tell you what you need to look out for so that you can avoid some of the most common mistakes made when estate planning. We'll also let you know where you can find proper legal help to make things easier. We know that the emotional pain of losing a loved one can make it hard to move forward with the probate process. But as an executor of an estate, it's important that you understand time is of the essence -- and that waiting too long to begin will make the process even harder. Remember that the longer you wait to begin, the higher your taxes will climb. Creditors will start to hound you, and of course, those who stand to inherit something from the estate will begin to get frustrated. Plus, the faster you move, the better that you'll be able to protect all the assets of your estate. If you're inheriting something like a home or another piece of property, you need to make sure the home and the things in it aren't left vulnerable. Additionally, you might be subject to nonpayment penalties when it comes to taxes or mortgages on the home. Above all, ensure that you get control over the accounts, debit/credit cards, and other financial records as quickly as possible. You don't want to cause any strain between yourself and your family members, and you also don't want to be taken advantage of. While you're of course aware that there can be a penalty or other problems if an executor fails to distribute, taking those distributions too early can also cause you some serious problems. You'll need to hold off on making those distributions after liabilities and taxes have been paid. If you make those distributions before then, you as the executor of the estate will be held responsible. Making these types of early distributions is often referred to as "at risk distributions." If you end up with a sudden claim but have already made distributions, you don't want to have to pay penalties and fees. Even if you miscalculated even slightly, the fact that you made early distributions could land you in hot water. So, in short: when in doubt, wait it out. One of the best ways to not only keep the peace between heirs of the estate, but to also ensure that the process goes as smoothly as is possible? Making sure that you've worked to create an asset inventory of the estate. This is especially key if you have real estate to deal with. Be aware that this inventory list should have only what's been gathered and given to an administrator to take control over. You should also consider things like jewelry, cash found in the home, specific family heirlooms, pieces of furniture, and much more. What about royalties, bank accounts, or investment accounts? And will these assets be given to estate heirs by the will, or through the process of intestate succession? These are all important things to consider -- and if you have older relatives who are still living? You might want to think about sitting down with them now and going over the assets that they have. Though the conversation may be awkward and even emotional, it will increase the chances that things go the way your relative would have wanted once they've passed away. The truth is that the probate process can get incredibly complicated very quickly -- especially if you're the executor of an estate. You might think that you're familiar with the process in general, but find that the specifics of the estate you're controlling are simply too tough for you to handle. Even if you don't hire an attorney to guide you through the entire process? It's a smart idea to at least schedule a consultation with an attorney before you begin. This way, you'll be able to figure out the next steps to take, and whether or not your case will be complicated enough to hire an attorney. Remember that, in addition to an attorney, you may also want to speak with a financial planner or a CPA. The same goes with real estate professionals in the local market, as well as estate planning professionals. We strongly suggest that if the estate is located outside of the city where you live, that you rely on a legal professional to help you. Earlier in this post, we spoke about how it can sometimes take several years for an estate to be settled completely. But when beneficiaries want a quick payout? They can put pressure on you to speed up the timeline. They may even become suspicious about what you're "really doing" with the money and the assets. To help them to understand the process -- and to clear your name of any potential wrongdoing -- it's important that you keep as many records as possible. This becomes even more essential if the investments made in estate financial accounts have dropped in value. You need to create a paper trail that proves that you as the executor have done your due diligence when it comes to communicating with lawyers, financial planners, and more. The more transparent that you're able to be, the less likely you are to have serious problems on your hands down the line. We recommend that you begin the entire estate process by reading the will out loud to all of the beneficiaries. This will cut down on the potential for misunderstandings and will prevent beneficiaries from making untrue or unfair claims down the line. You also need to make sure that you can answer the basic question, "What is an executor of an estate?" Many people think that they understand the responsibilities they will need to take care of -- but often, there's a lot more to the process than they realize. They also fail to understand how they'll legally be held responsible for the estate and the assets within it. In other words, it's not just about getting the money out to any beneficiaries. You'll need to make sure you've listed and taken care of the cost of administrating the estate, that you have the ability to remain impartial, and that you're doing things as the deceased would have wanted. You'll be responsible for making sure you allocate any taxes between the beneficiaries, and that you liquidate securities if needed. You also need to make sure that you pay any taxes on properties owned by the deceased. You also need to work to make sure you don't miss any of the estate's mortgage, car, or other forms of insurance payments. Even if you hire an attorney to help you, know that, as the executor of an estate, you'll still be held responsible. You know that our dependence on technology is greater than ever -- but did you know digital records also play a serious role in the probate process? Even if you have the login names and passwords to the deceased's accounts? You will need to make sure you're not committing a crime by going into them. Be aware that some provinces don't allow you to access those digital accounts because this is seen as a violation of privacy laws. We strongly suggest that you have an attorney on your side if you'll need to deal with digital accounts. The last thing that you want to have happen is for you to end up being charged with hacking. We understand that it can sometimes be a challenge to put up a loved one's home for sale after they've passed on. But as an executor of an estate, it's essential that you act as quickly as you can in order to make the greatest possible gain on the property. Try to take your emotions out of selling the home. If needed, hire a professional organizer, home staging company, or cleaning service to come in and help you to speed up the process. Dedicate a weekend with other family members to meet and go through the items in the home. You'll need to decide whether or not the home is in need of renovation or any repairs. If so, be aware that this will add to the overall timeline of the sale. You might even consider selling your home for cash, especially if you need access to capital as soon as possible. A cash home buyer is also an excellent option if the deceased's home is in particularly bad shape. Also, be aware that as soon as you're made the executor of an estate, you have the ability to list the property for sale. The sooner you move on this, the better. This is because you'll be able to field multiple offers, which will often lead you to getting a much higher one than you would if you're in a rush to sell. Remember that you can't actually close escrow until you have letters of administration in hand. Just be upfront about this fact when you communicate with any potential buyers. Many unaware executors think that, as long as the money has been distributed to the beneficiaries, their work is done. First, you'll need to pay off any of the debts associated with the estate -- which means you'll need to let creditors know that you're now in charge. You should have filed tax returns and made tax payments and made a file final accounting agreement with your probate court. This is essentially the list of all the assets and expenses associated with the estate. If you want to avoid a hearing, you'll need to have all of the beneficiaries sign this file final accounting. Then, you'll need to actually make the distributions themselves. Finally, you must file a closing statement to the probate court. Essentially, this document proves that you've made all the required distributions as directed by the will. Need Legal Assistance as an Executor of an Estate? We hope that this post has helped you to understand the mistakes you're likely to make as an executor of an estate. You need to make sure that you're as transparent as your family members as is possible, and that you fully understand what the responsibilities of acting as an executor of estate actually entail. Above all, you need to hire the right kind of legal assistance to make sure that everything goes as smoothly as is possible. Especially when you're dealing with the emotions of the loss of a loved one, it's easy for things to get lost in the process. We want to be the ones to help you. Spend some time on our website to learn more about the services we offer. When you're ready to begin the estate planning and execution process, reach out to us. This entry was posted in executor of an estate and tagged best lawyers in edmonton, business lawyer Edmonton, edmonton law firms by verhaeghelaw. Bookmark the permalink.